What do you like to do on your days off? : Go to the movies! 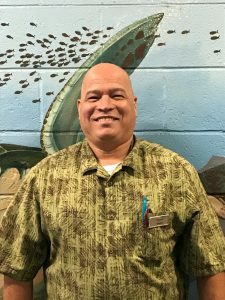 As one of our most recognizable employees, Eugene has been part of the Carlsbad Inn family for almost 31 years! He is one of our most loyal, dedicated employees. He always knows how to bring a smile to Guests’ and Owners’ faces! What do you like to do on your days off? : Workout, eat and travel! Alex has become quite the world traveler! Having visited over 10 countries and 38 states, he is nowhere near done exploring. Alex has a goal to visit all 50 states along with the National Parks. What do you like to do on your days off? : Read, walk and travel! You will never find Lorenza without a smile! 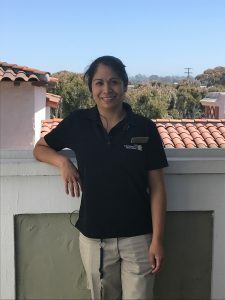 She has recently been taking online courses to improve her English and we could not be more proud of the dedication and hard work Lorenza has shown. She will go out of her way to help anyone on property, and her happiness to do so is contagious! 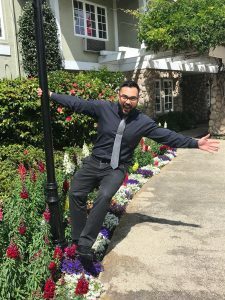 What Makes Carlsbad Inn So Special?